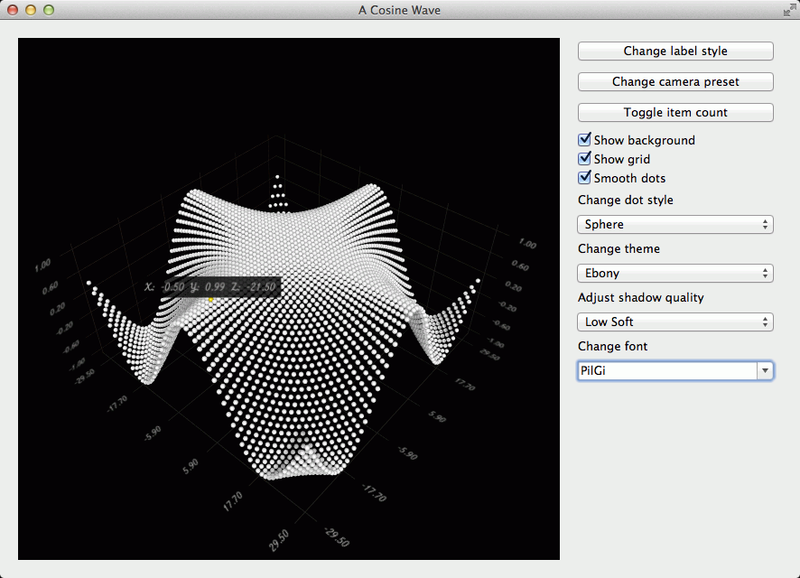 Using Q3DScatter in a widget application. None of these are required, but are used to override graph defaults. You can try how it looks with the preset defaults by commenting the block above out. That concludes setting up the graph. This could have been done in the constructor of ScatterDataModifier, but we added it here to keep the constructor simpler and the axes configuration near the data. Now our graph has the data and is ready to be used. There isn't much interaction yet, though, so let's continue by adding some widgets to play with.